Reason #53 is me, 100% of the time. Nine books read in April; all good, but only one was a great read. 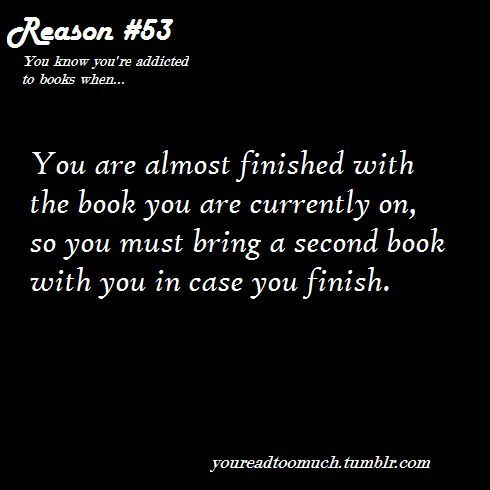 My secret is I never go very far into a book that doesn't grab me. The one great book this month is Benediction by Kent Haruf. Haruf isn't a prolific author, he's written five novels, all published since 1984. All of his novels are outstanding, they all take place in the north eastern corner of Colorado. Please take the time to read them, you won't be sorry. #53 made me laugh, I do that 100% of the time too.